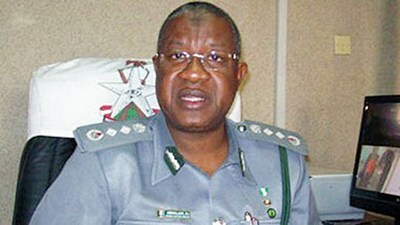 The Maritime Advocacy and Action Group (MAAG) has frowned at a petition said to have been written by one of its member association to the Presidency alleging the failure of the Pre-Arrival Assessment Report (PAAR) of the Nigeria Customs Service less than four months into its application describing the petition as misleading and ill-timed. The National Coordinator of the group, Alhaji Alhassan Dantata in a press release obtained by Primetime Reporters stated that it was premature for anyone to assume that the PAAR has failed in less than four months into its application. The group disclosed that while it appreciated the difficulties faced by freight forwarders at the ports which according to it should be seen as a teething period also said that the statistics available to it has shown that within the period under review, 58, 310 PAARs were uploaded from the designated banks out of which a total of 43,252 had been generated by the Nigerian Customs Service, an indication that progress was being made. The release read in part,” MAAG’s attention has been drawn to a certain petition said to have been written to the Presidency supposedly by one of our members alleging the failure of PAR, recently introduced by the Nigeria Customs Service as part of Mr. President’s Transformation Agenda in introducing the international best practice, less than four months into its application, blaming it for the delays and congestion in our ports environments”. “MAAG while appreciating the present difficulties, to be seen as a teething period, encountered by the generality of our freight forwarders in the ports environment wishes to reliably inform the public that the statistics at our disposal shows that within the period under review, 58, 310 PAAR were uploaded from the designated banks out of which a total of 43,252 PAAR has been generated by the Nigerian Customs Service. This is absolute proof that the situation will soon be a thing of the past”, the release said. “MAAG while positing that the numerous factors and challenges hindering the smooth flow of cargo clearance out of the ports system ranged from non compliance to the rules of engagement, inadequate cargo handling equipment, sabotage and the likes further stated that it would soon forward a position paper on the state of the ports for the attention of the President, Dr. Goodluck Jonathan.